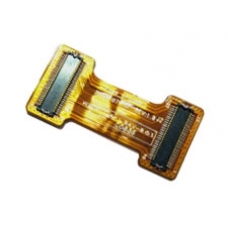 This is the flexible connector that joins the SIM card reader and the memory card reader PCBs. This is a push fit flexible connector for the HP Data Messenger and is a straight forward part to replace. These are easily damaged when disassembling the unit for repairs. If you are having SIM card detection issues or memory card read / write issues this flex connector cable may be faulty.